Courtney Barnett, photo credit Pooneh Ghana. Fantasizing about what it would be like to be seven years old again is something I do quite often. 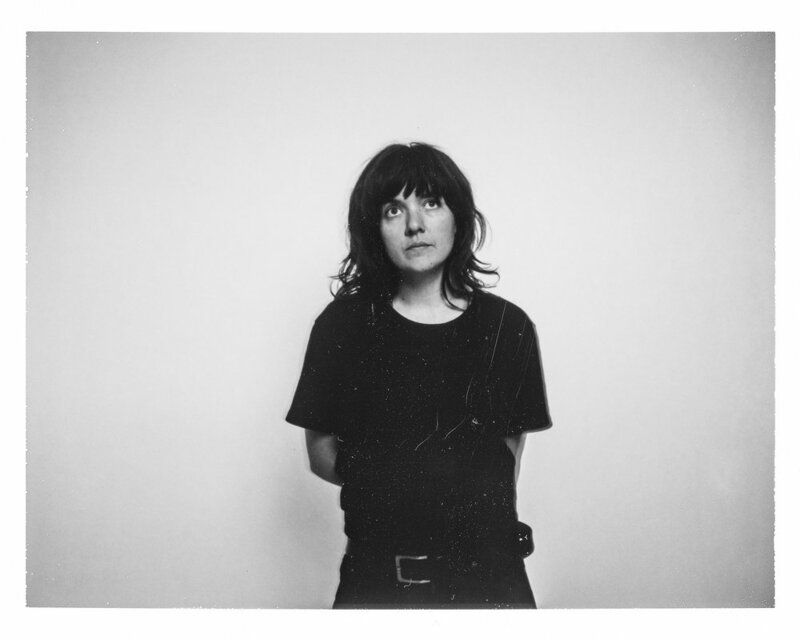 And if seven-year old me was around right now, she would without a doubt idolize singer-songwriter Courtney Barnett. 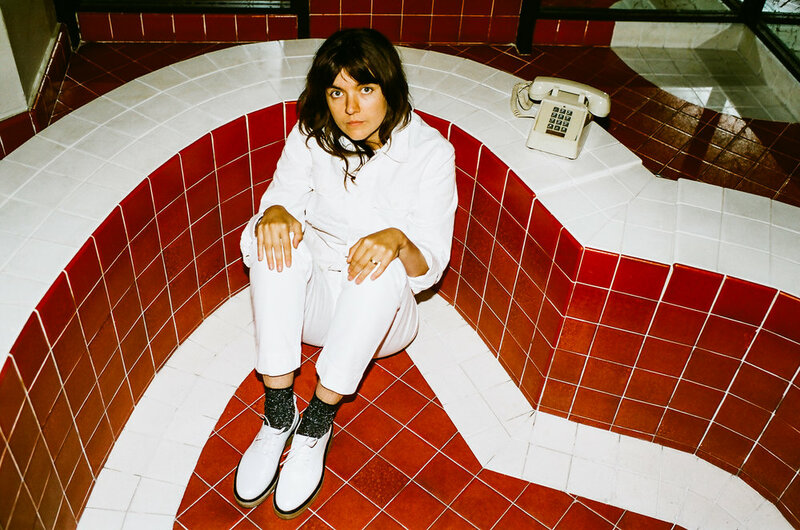 Courtney Barnett, for those who are new to the name, is a Melbourne-based indie rock musician whose deadpan songs find hilarity, beauty, and angst in the mindless everyday rhythms of life. Ultra-cool yet still approachable, with a killer sense of humor and a laid-back attitude, Barnett makes the perfect role model for any budding artist. I say this with mild envy because when I was growing up, it felt like bands fronted by the likes of Barnett, with her low-key, tomboy aesthetic, were few and far between. I adored Meg White, the shy drummer of The White Stripes, but other female rock stars of the time like Avril Lavigne or P!NK were too intimidating for me to relate to. In the hopes of sharing the joy of Barnett’s music with young readers, I added the musician’s collaborative album Lotta Sea Lice with another garage-rock hero, Kurt Vile, to ILLUSTORIA’s ongoing feature “On Our Playlist” in the recent Issue #7: Black and White. I was then thrilled to be able to speak with Barnett over the phone about her creative process, childhood and advice for young musicians, and to be able to share it with you, our readers. I hope you enjoy our chat, and if you’re as bummed as I am that you didn’t have Courtney to listen to as a kid, remember it’s never too late to have a music crush. Check out Barnett’s music in our Issue #7 Spotify Playlist or on her website. Some of the interview has been edited for clarity and length. What was your childhood like growing up in Sydney? It was great. I lived out of the city and near the beaches and the bush; around a lot of nature and water. So I think I’ve been lucky in that regard. I started drawing, making music and I would go to the library everyday after school. I found myself in this great position of discovery, knowledge and creation the whole time I was growing up. Where you get the inspiration for your lyrics from? [The inspiration] is everywhere. I think ideas are hidden, sometimes right in front of us. For me it’s just slowing down enough to recognize and see them for what they are. Sometimes when I start writing a song I try to put all of these big ideas into it, but I think it’s when you step back and focus on one small thing the good detail and emotion behind [a song] can blossom into something bigger. Kind of like a backwards step. I’m not really good at routine but I’ve tried. I’ve tried to experiment with routines and discipline. For me that’s not when it happens, when it happens seems to be in procrastination. I think normally I’ve tried to get up and work in the morning with a fresh brain to be creative and write. But I discovered that I work best at night or at the end of the day. So a lot of the time I go through this pain of you know, the daily kind of “trying to get things done” and the kind of up and down of whatever is going on. It’s not until I’m ready to call it quits for the day that things start happening. Maybe it’s a kind of tricking the mind into thinking it’s ready or thinking that you’re done and that you can move on and allow your other side of the brain to keep on going. Our upcoming Issue #8 is themed “Home”. What is your definition of “home” ? Do you ever get homesick while touring? I think at the moment for me, home is kind of up in the air. But my definition of home is either where family is or where all my stuff is, or both. So I guess I kind of feel like my home is Melbourne and where I have all my boxes, journals, photos, clothes and stuff like that. But then Hobart in Tasmania, (my mom and dad still live there) so I kind of consider that home. Sydney is kind of a spiritual home with some other family [living there]. And then I’m so lucky I can travel all the time so I am away from home a lot. I don’t really get homesick. I think it’s fluctuated in the past, but I’m trying to live in the moment now and be grateful for where I am, for discovering new places and for taking an adventure and experiencing the moment instead of wishing to be somewhere else. We love your hand drawn album covers! Do you still make time for drawing with your busy schedule? I kind of stopped drawing and then started again recently. Drawing for me is harder than writing because it’s a little harder to visualize an idea. It definitely doesn’t come as naturally to me as playing guitar or writing lyrics. I think it can be frustrating and sometimes [my ideas] don’t come out as good as I hoped, but I think that when I overthink things is when they become worse. So I think trying to [draw] for fun or without an expectation of what it’s going to be, look like or used for is a big thing for me. I’m always like, “I’m designing a t-shirt to sell at a show” and then I put this undue pressure on myself, like the expectation of what it is instead of just letting it happen. What was your favorite music to listen to when you were growing up? When I was growing up I listened to a lot of Nirvana, Jimi Hendrix, No Doubt, Red Hot Chili Peppers, all that kind of 90s and earlier music. Rad! I watched your What’s In My Bag interview that you did with Kurt Vile a little while back, and I heard that your dad had a big jazz record collection. That’s so cool, like you had a built-in music education. Yeah definitely. I thought it was really uncool but I kind of enjoyed listening to it. I probably didn’t know the gravity of who the musicians were until around when I started high school when I started learning about the history of blues, jazz and rock and roll. Photo credit Mia Mala McDonald. Did you have any mentors that guided you towards your creative pursuits? Kind of, in a more casual way. I looked up to my brother and his friends who played music. And then I started getting guitar lessons and my guitar teacher was a huge inspiration. He made it fun. I think having a patient and encouraging teacher makes such a huge difference. Just as a young person being gently pushed in the correct direction makes a huge difference. And I think I always had really fun art teachers at school, like the art teachers that traditionally are kind of quirky, laid-back and fun and you can go hang out in their classroom at lunch time. I think that so much of music and art is a journey of your own, like your personality taking an adventure. More so than the actual work, theory, or practicality, [art] is about having that space to explore. Definitely. Are you still in contact with any of your teachers? Yeah, my guitar teacher lives in Sydney so I often invite him to shows! We featured Lotta Sea Lice on our playlist feature in Issue 7-- we love it! What was one benefit and one challenge of this collaboration? It was so fun working with Kurt! We joked and really laughed a lot; it was a really fun process. Not to say that my other times making music hasn’t been fun but I’ve been a huge fan of Kurt and his music. We became fast friends and we almost think of each other like brother and sister. Hanging out and making music in the studio was just a really fun process. I guess a challenge would be working with someone’s different process or schedule. Kurt’s a bit more like a night worker. And I kind of prefer that but for some reason when we were in the studio the days were starting earlier, and so it was just like meeting someone’s schedule is kind of tricky but not much. What are some musicians / bands you think every kid should know about? What advice to you have for young people who want to become musicians? My advice is just to do it! To get a guitar or whatever you want to do from somewhere and don’t let anyone tell you it’s too hard or it won’t get you anywhere, just have fun. Just have fun and do it your own way. 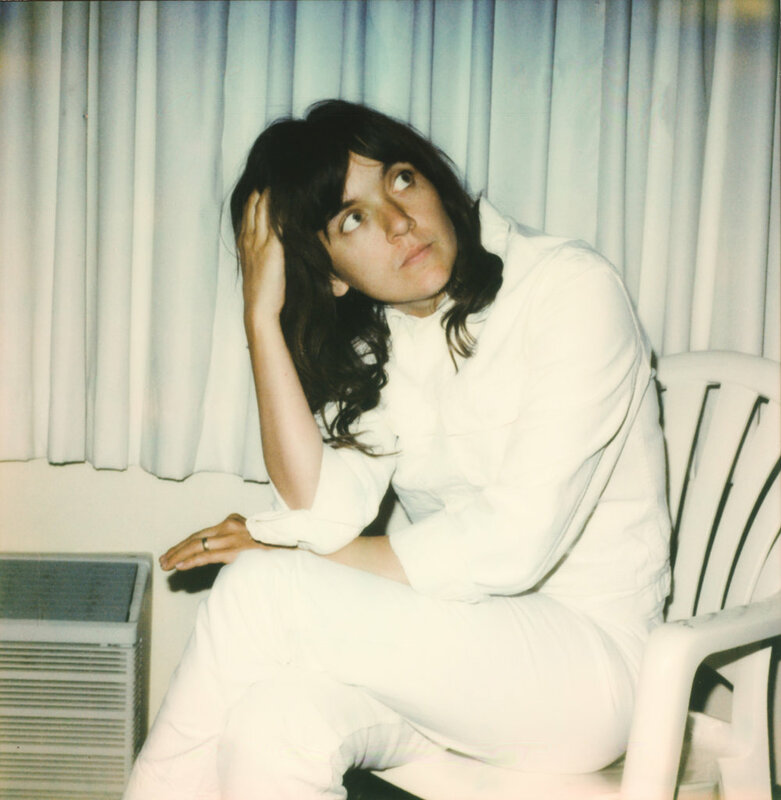 Thanks for reading our chat with Courtney Barnett! We hope you truly enjoyed it. Don’t forget to check out Issue #7: Black and White where we feature Barnett in our On Our Playlist, and listen to our new Issue #7 playlist on Spotify, which is filled with music by Barnett and other black and white related songs. Cheers!